The area included in the implementation of agri-environmental measures has been strongly increased after 1999 and in 2010 covered 276.903 ha (gross). 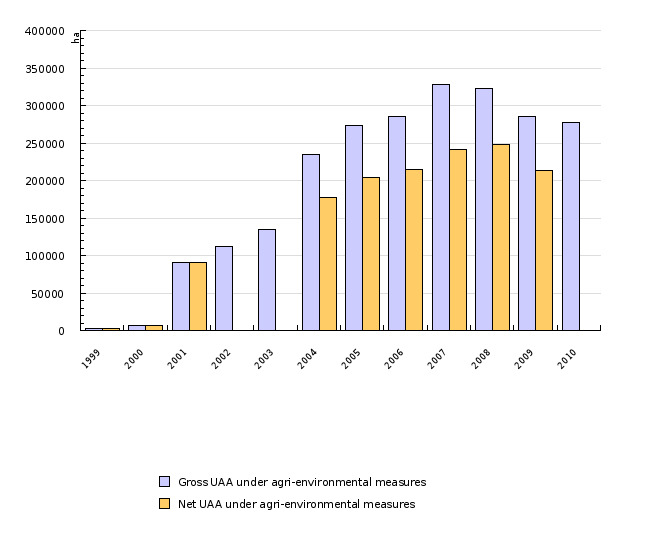 The share of area with one or several agri-environmental measures (net) in the period 1999-2009 has increased from 0.6 % to 45.5 % of all utilised agricultural area. Ministry of Agriculture, Forestry and Food of the Republic of Slovenia, 2011; Statistical Office of the Republic of Slovenia, 2011. 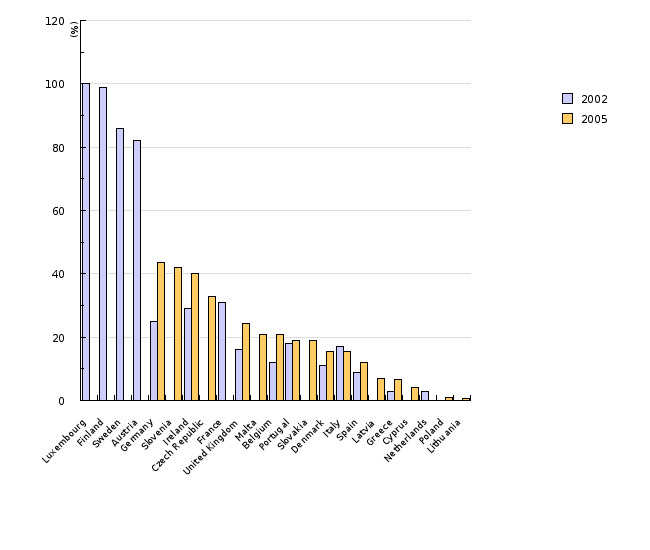 European Environment Agency, 2005; EUROSTAT, 2009. - implement agri-environmental measures until 2013 on 365,000 ha of utilised agricultural area (gross area), of which one agri-environmental measure at least on 204,000 ha (net area).